West Indies and Bangladesh face each other in the final chapter of Windies 2018 tour, with the hosts having triumphed 2-0 in the Test series followed by a 2-1 thumping in ODI series. Now both will aim to take an early lead in the first T20I at Sylhet International Cricket Stadium in Sylhet on Monday, December 17. Both teams have played eight T20 internationals against each other with the scoreline tied on 4-4. 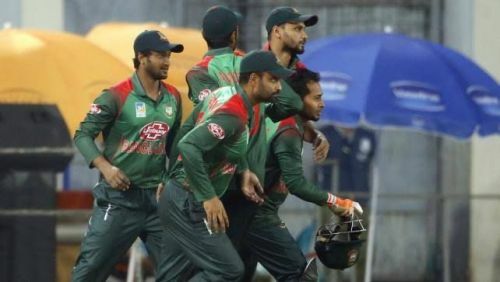 In their most recent clash in August 2018, Bangladesh got the better of the Windies to win the T20I series at Lauderhill in Florida. After electing to bat first, Bangladesh scored 184/5 and then restricted the Windies to 135/7 (17.1 overs) to win the game (19 runs D/L Method) and series 2-1. Tigers have not been doing well in the shortest version of the game. 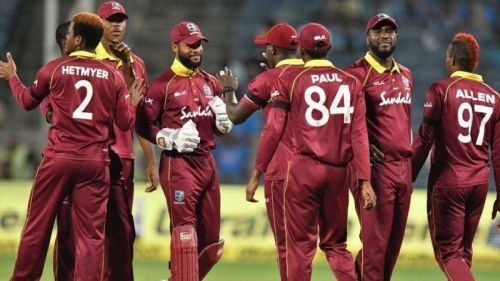 They have won just four out of the thirteen T20 internationals they have played since the start of this year and two of those came against the mighty Caribbeans, which certainly gives them edge ahead of the series. Tamim Iqbal is going to be the key man for the hosts. He was in brilliant form in the ODI series with scores of 12, 50 and 81* in the respective matches and was well supported by all-rounder Shakib Al Hasan with scores of 55*, 62 and 16* respectively. Meanwhile, Soumya Sarkar too announced his return in final ODI with impressive 80 and the team will need him to replicate it in shortest version. Mehidy Hasan, along with Mashrafe Mortaza, finished as the joint highest wicket-taker in the previous ODI against the Windies with six wickets each and these two will be expected to provide few early breakthroughs. While Mustafizur Rahman is another candidate in the side who is likely to cause problems for the visitors. He finished as the second best bowler in the ODI series with five wickets and the Left-arm pacer is expected to give the West Indian batsmen plenty of headaches. Shakib Al Hasan (C), Mahmudullah, Ariful Haque, Nazmul Islam, Abu Hider, Mustafizur Rahman, Rubel Hossain, Tamim Iqbal, Liton Das, Soumya Sarkar and Mushfiqur Rahim. The Carribeans have lost nine and won just two out of the eleven completed T20I fixtures they have played this year. The most recent assignment in this format was against India in October 2018. It was a three-match series held which they lost 0-3. They will aim to end their five-game T20I losing streak and start series on a positive note against Tigers. The Caribbean hopes will mostly rely on Shai Hope, who was their most successful batsman in the recently concluded ODI series with 297 runs. The team will need him to carry on with his good form into the shortest format. They will expect the likes of Evin Lewis, Shimron Hetmyer and Darren Bravo will bear the responsibility to get the team through in case of early jolts. The West Indian bowling will rely heavily on their Oshane Thomas and Keemo Paul. Both shared eight wickets between them in ODI series and the team will them to provide breakthroughs at crucial moments. There will also need skipper Carlos Barithwaite, who has 27 T20I wickets in the shortest format, to use his experience and take few wickets early on. Carlos Brathwaite (C), Fabian Allen, Keemo Paul, Keserick Williams, Oshane Thomas, Shai Hope, Shimron Hetmyer, Darren Bravo, Nicholas Pooran, Denesh Ramdin and Evin Lewis.